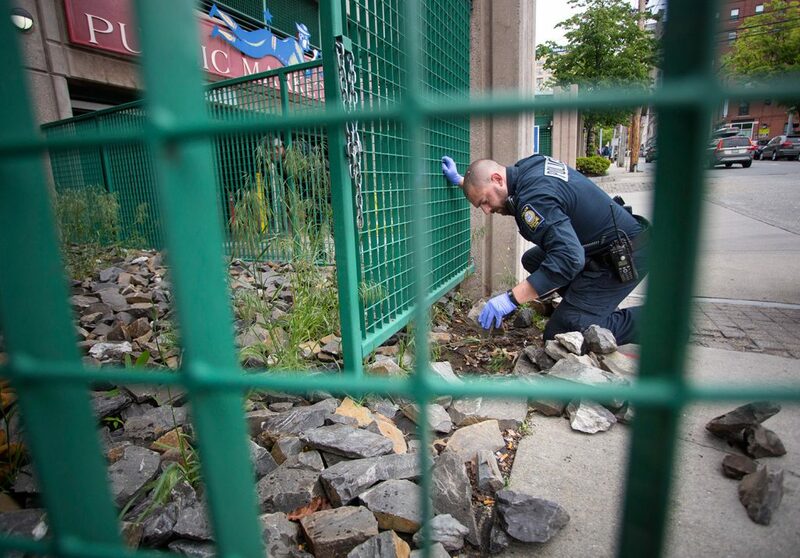 Evidence technician Frank Pellerin searches for bullet casings near a parking garage where a 39-year-old man was shot on Preble Street in Portland Tuesday night. 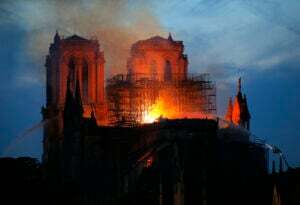 The suspect remains at large; however, police don't believe the shooting was a random act or that there is any danger to the public. 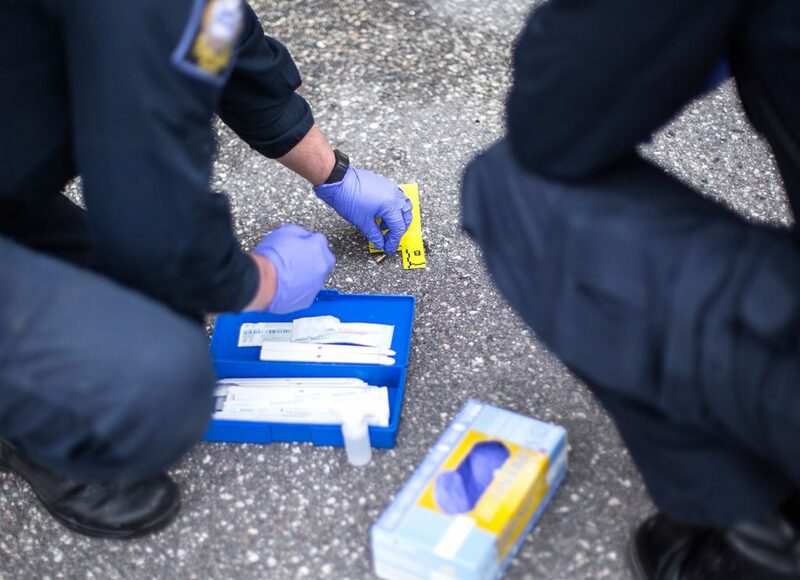 Evidence technicians with the Portland Police Department remove a bullet casing found near a parking garage where a man was shot and seriously wounded on Preble Street Tuesday night. 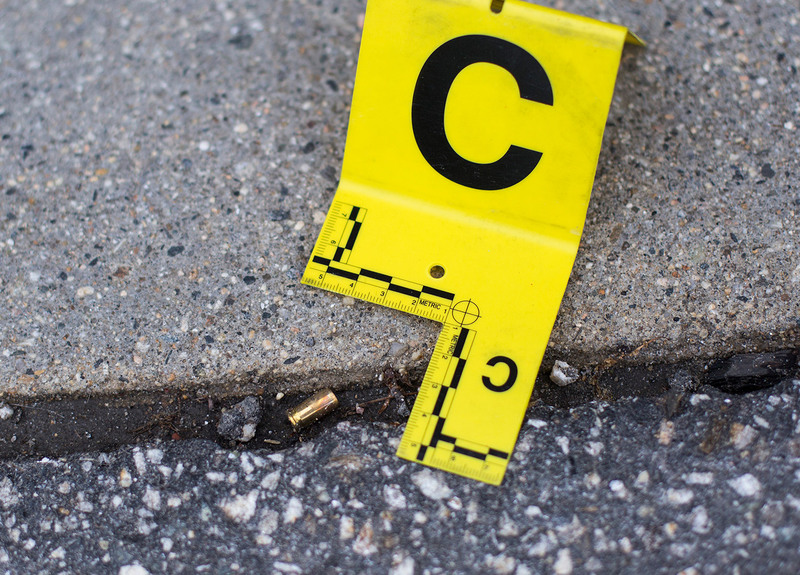 An evidence marker rests beside a bullet casing near the parking garage on Preble Street, where the shooting took place. 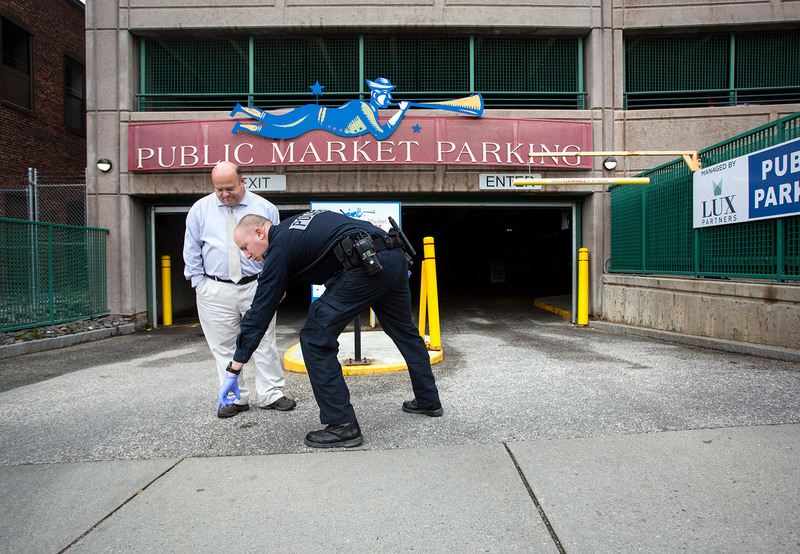 Portland police evidence technician Jon Reeder points out a bullet casing to Lt. Robert Martin near the entrance of a parking garage.